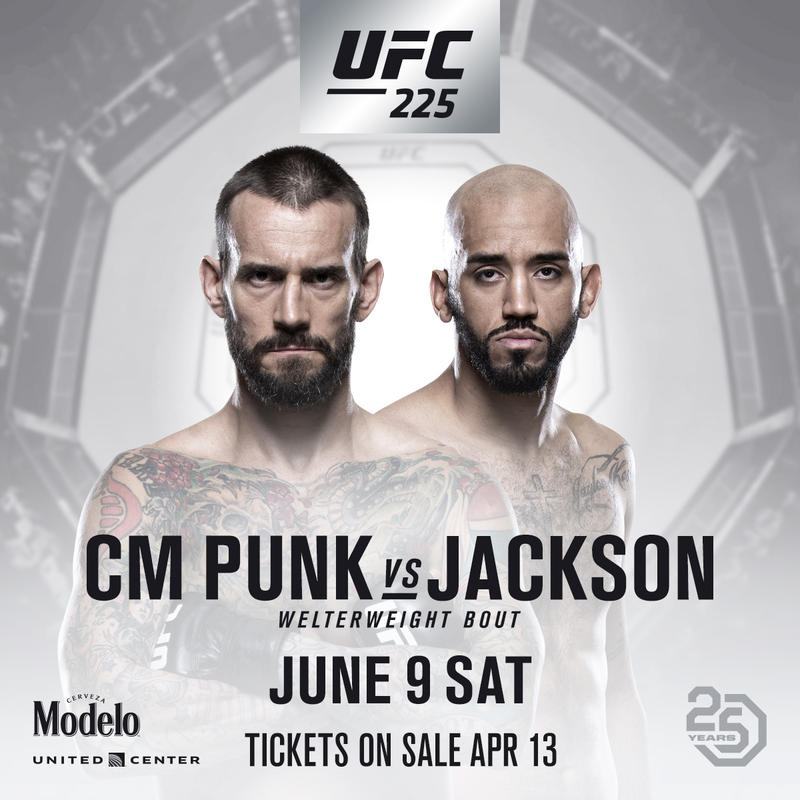 Former WWE superstar CM Punk will step into the Octagon for the second time on June 9, and this time he will do so in his hometown of Chicago, as he faces Mike Jackson in a UFC 225 bout at United Center. In the UFC 225 main event, which airs live on Pay-Per-View, Robert Whittaker defends his middleweight title against Yoel Romero. Tickets go on sale on April 13. A pro wrestling icon, Punk shocked the world in 2014 when he announced that he was moving to the sport of mixed martial arts, and after a long apprenticeship with the Roufusport team in Milwaukee, he made his UFC debut against Mickey Gall in September 2016. Punk lost that bout, but determined to succeed, he returned to the gym, honed his skills, and he will now face Houston striker Jackson, who also lost his UFC debut to Gall, but is determined that he will leave Punk's backyard with a victory this June.